Can you say "fútbol"? It seems that, with the World Cup starting today in Brazil, it is the equivalent of "Father's Month" for most of the world, not "Father's Day". That event will be celebrated in the USA on Sunday, June 15th--giving fathers in the USA at least a day, because that country is about the only one that does not care a whole lot about fútbol. So Father's Day or Fútbol Day or whatever, come Sunday at 14:00 (2 pm), we will gather in Montevideo at La Papoñita to discuss anything of interest. Sure, it's a restaurant, and you can eat all manner of different items, but if you don't want anything, that is fine, too. Just come and enjoy yourself. 3. 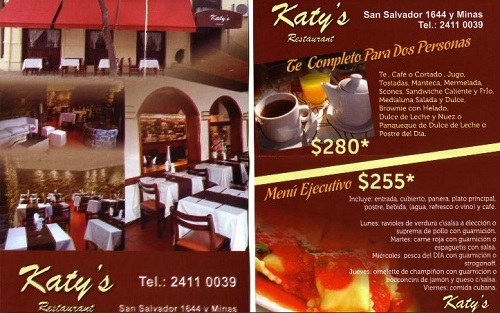 A restaurant find--Katy's Restaurant, a Cuban restaurant on San Salvador 1644, esq. Minas, turned out to be a very pleasant place with a good atmosphere, and a menu that differs from those in most restaurants here in Montevideo. They offer meat, fish, pasta, salads, and salsas, as well as sinful desserts, and the portions are impressive, at prices that are reasonable for what they offer. The most expensive meat was 365 pesos. Thursday and Friday evenings, there is live music during the dinner hours. See the attached flyer for pictures of the place and more info. 4. German Company starting a Financial Services Center--BASF is opening a big center here to service all their business in central and south America. They will open their doors in November of this year, and add further departments until everything is up and running in 2016. The center will be located in the World Trade Center on Artigas, and will be headed by Berthold Ebner. BASF started the first such center in Berlin 7 years ago, and it has grown to have over 1,000 employees. A further such center is located in Asia. The center here is planned to have 320 employees. 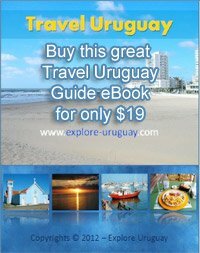 Uruguay was chosen because of its location, stability, and workforce. Those of you looking for employment may want to pursue this further. Music--There are a number of interesting performances in the near future, as listed below. Para la segunda parte, la orquesta interpretará la famosa Sinfonía No. 5 en mi menor Op 64 de P.I. Tchaikovsky (1840 - 1893), considerada como una de las sinfonías más queridas por el público a nivel mundial. Artista invitado para abrir la noche: el uruguayo Juan Pablo Chapital.